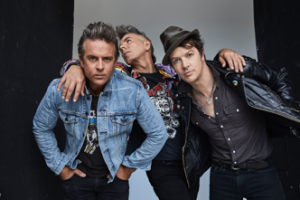 Back with their eighth album Wunderbar, Australian psychobilly/punk rock'n'roll outfit The Living End play Dublin's Academy on June 29. Fondly remembered for their preference of double-bass over electric, listen to 'Prisoner of Society'. Tickets cost €23 from Ticketmaster. Doors open at 7pm.